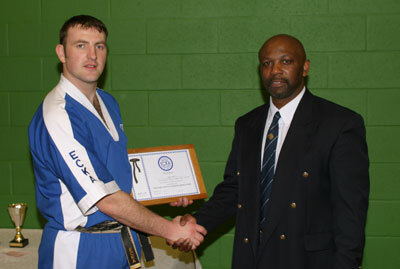 Simon Small, Instructor for The Combat Academy Hereford, started his martial arts training in 1986 at the age of 13, gaining his Black Belt in March 1990. With more than twenty years of varied experience under his belt he still strives to better his martial arts ability. Simon has had the privilege of training with many great martial artists from around the world, including: Sensei Dev Barrett, Ray Hoffman, Howard Brown, Kash Gill, Ronnie Green, Bill Wallace, Sensei Kimura, Sensei Eneoda, Sensei Ohta, Billy Higgins, Eddie Daniels, Tom Beardsley, Billy Doak, Brian Wrightson, Ross Iannoccaro, Julian Toribo, Vic Charles, Ticky Donovan, Braulio Estima, Mauricio Gomes, Roger Gracie, Royce Gracie, Roger & Rigan Machado, Marcio Feitosa, plus many others. 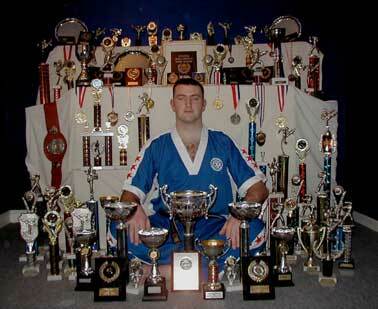 Over 200 Awards for Karate, Ju Jutsu Kumite, Judo & BJJ. Simon has a wealth of experience in refereeing, including Semi Contact, Light Continuous, Freeform, Ju Jutsu Kumite, BJJ and MMA. An experienced Instructor, Simon has coached many junior & senior students to National Champions in all disciplines. Simon teaches in Hereford and has an enhanced CRB check. Visit The Combat Academy at: http://www.thecombatacademy.com for further details.